Extensions are X and Pro specific plugins available for download for all customers with a validated purchase of X or Pro. You can easily download and manage all of your Extensions directly from the WordPress admin area under X > Validation or Pro > Validation. This article covers documentation for the Facebook Comments Extension and goes into detail on certain features where needed. After installing and activating Facebook Comments, you'll find it's settings under the X menu item if X is installed and activated, or the Pro menu item if Pro is installed and activated. 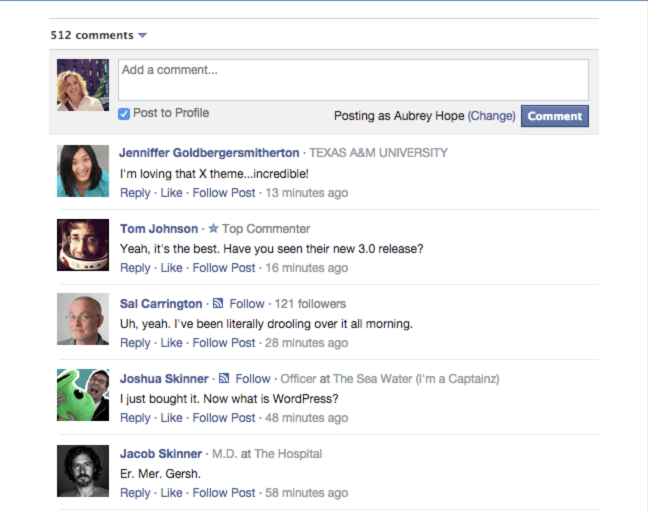 The Facebook Comments extension integrates the Facebook Comments platform with your WordPress website, replacing the default WordPress commenting system. 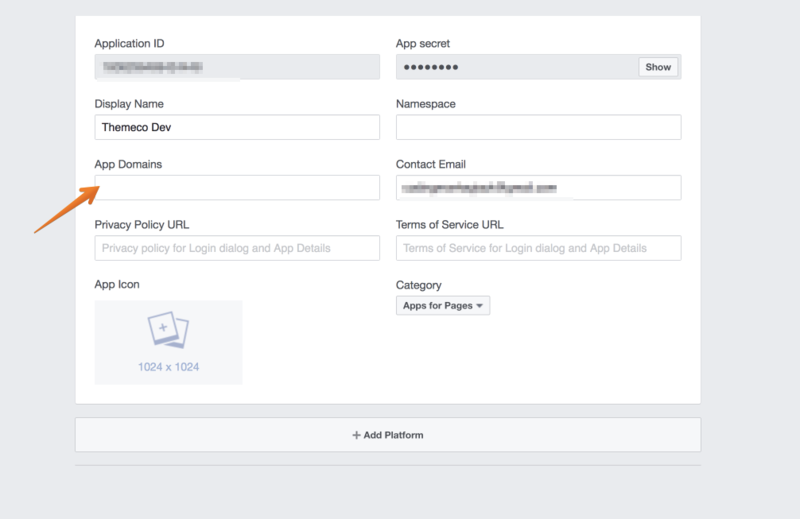 The first thing you need to do is to create a Facebook app, we'll take you through this step by step so you know exactly what to do. 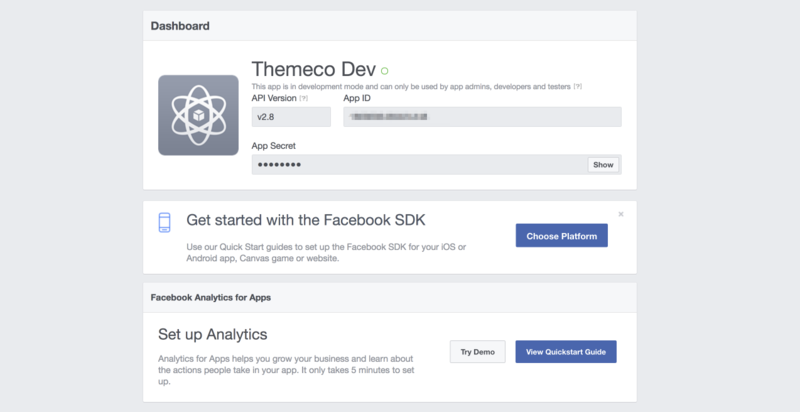 Navigate to the Facebook Developers portal here. Click on My Apps and then you should see a page that lists all your current apps (if any) along with an option to create a new app. The first thing you need to do is enter a display name. This is the display name of your app and will be shown to your visitors so pick wisely. Then enter your contact email address and finally pick a category for your app. Once you're happy with everything entered click on Create App ID. Enter your domain and hit enter, then click on Save Changes in the bottom right of the App Dashboard. 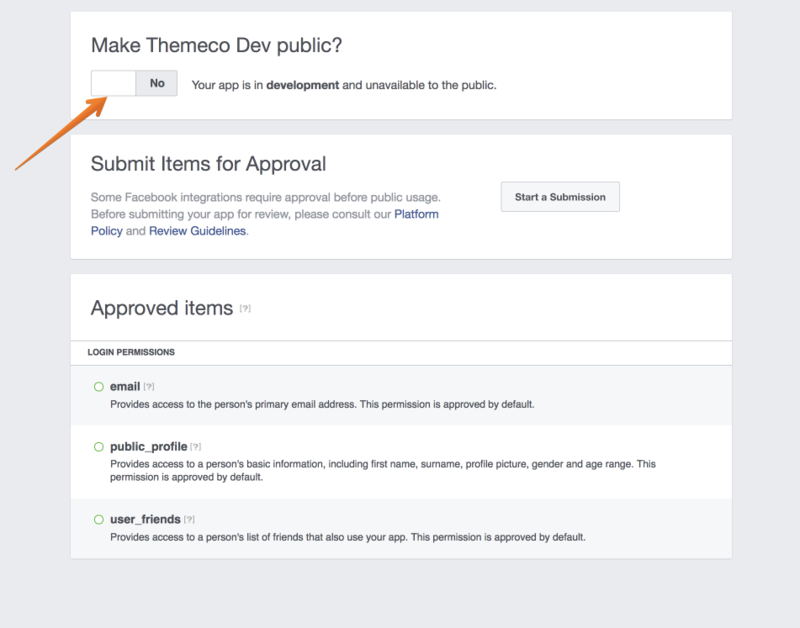 Click on the toggle switch at the top to make your app public. 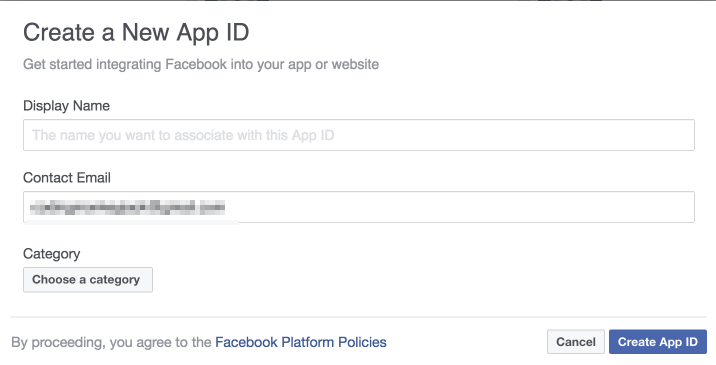 You don't need to submit your app for review, as we are only using the default permissions. Now your app is public, click on Dashboard on the left-hand side navigation menu to be taken back to the main app dashboard. When there copy your App ID and then click on Show next to App Secret and copy that as well. 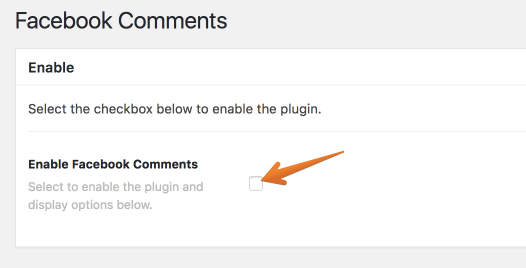 With both the App ID and App Secret copied, head back on over to your WordPress Dashboard > X/Pro > Facebook Comments and add your App ID and App Secret to the appropriate boxes. The remaining options can all be left at their defaults, though you can change and modify the values as you wish. Once you're happy with everything click on Update to save your settings. Congrats! You've now successfully set up the Facebook Comments system on your website.